Exchanging rings on your wedding day is a time-honored tradition. But while the rings of yesterday were plain, simple bands, today’s rings are unique and detailed. For many couples, the wedding band is representative of their marriage – including the hobbies they enjoy together. One such hobby is hunting. These days, more than 38 million Americans hunt every year, and that includes men, women, and even children! 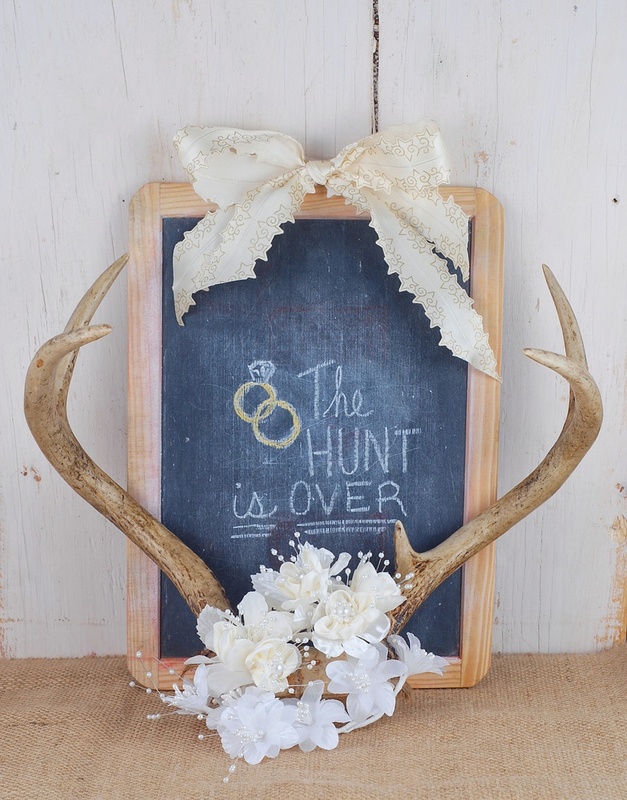 Some hunters have such a connection to the sport that they incorporate it into their wedding ceremonies, with camouflage bridesmaid’s dresses, shotgun shell centerpieces, and other hunting-themed personal touches. 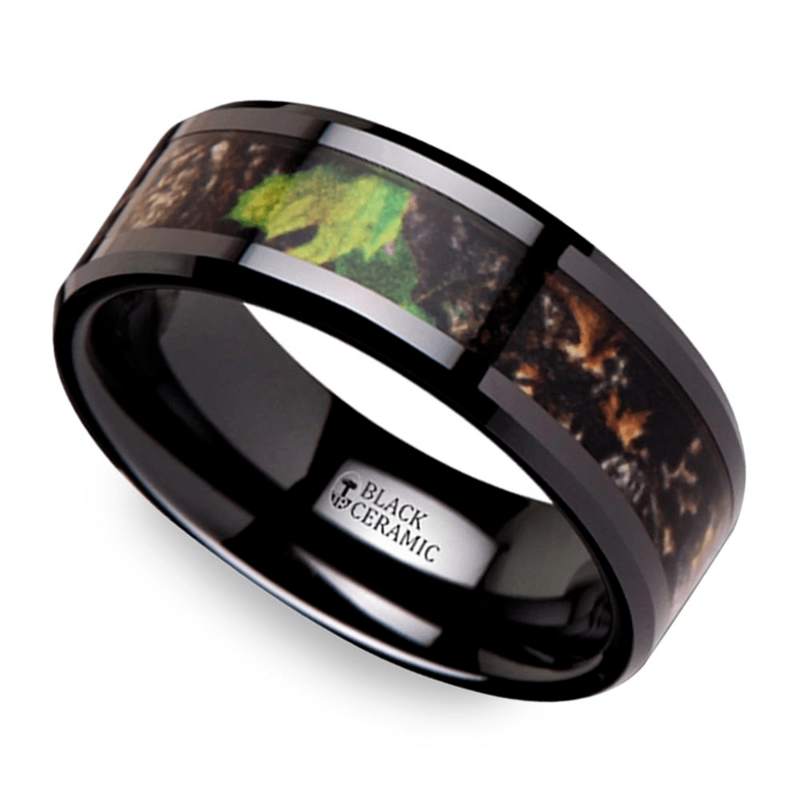 If this sort of ceremony sounds perfect for you and your future spouse, you won’t want to miss out on Brilliance.com’s collection of camo wedding rings! Pink camo flies off the shelves in hunting and fishing stores, as women and girls look for hunting attire with a feminine flair. 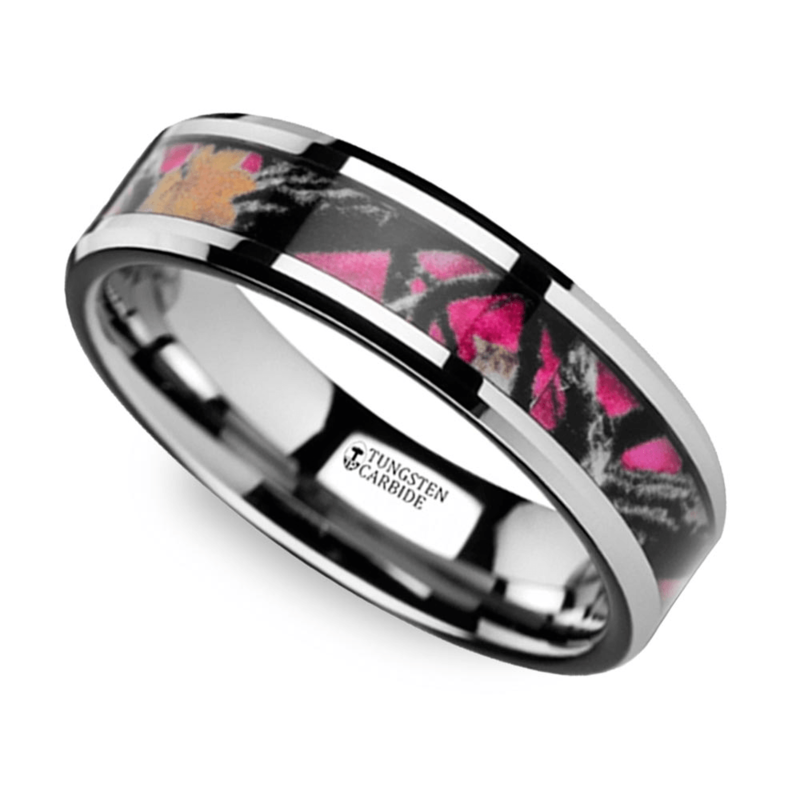 This ring features a pink, oak leaf camo pattern, inlaid into a tungsten base with beveled edges. The oak leaves peeking out in the center make a great nod to her favorite sport, while the overall look of the ring is sleek, classy and beautiful. 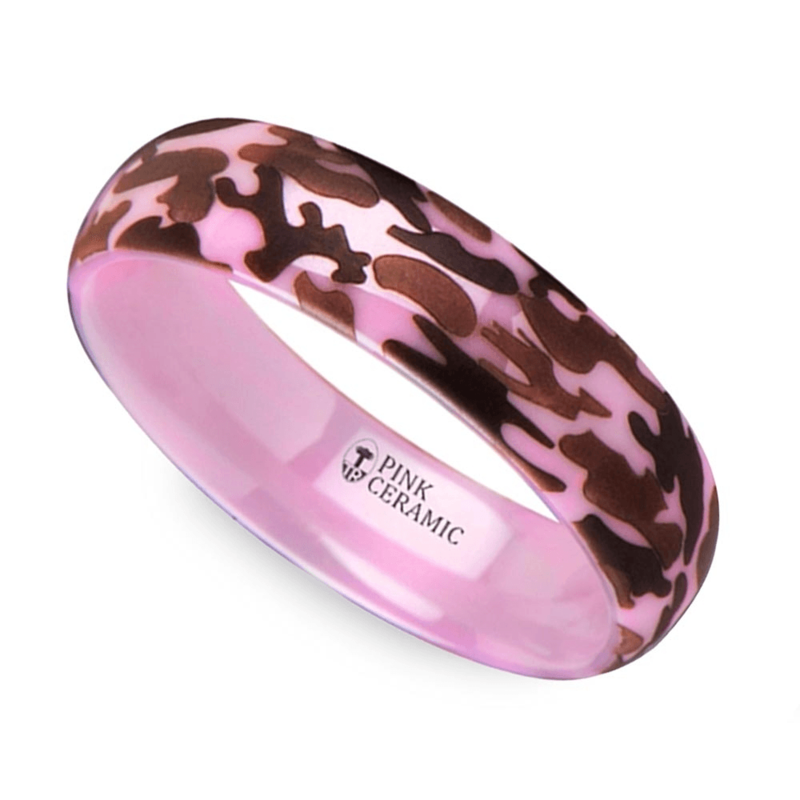 If your bride wants a camouflage ring without any fuss, why not show off her love for the great outdoors with a wedding band decked out in pink camo? This ceramic wedding band just might be a perfect fit. The simplicity of this design really lets the pink and brown camo stand out! Brilliance has plenty of camo rings available for men, too! These rings are designed for a comfort fit and feature inlays of camouflage in a variety of styles. Pick the camo that reflects your favorite type of hunting, from leaves at nightfall (pictured above) to grasslands in the heat of the day (pictured below). These rings also feature a fashionable border in either black ceramic or tungsten, giving your wedding band the extra special touch it deserves. Other available metals include zirconium, cobalt, and titanium, with the possibility to customize precious metals for these inlaid camo patterns, as well. With rings like these, you can proudly show off your favorite hobby and the love you have for your wife. 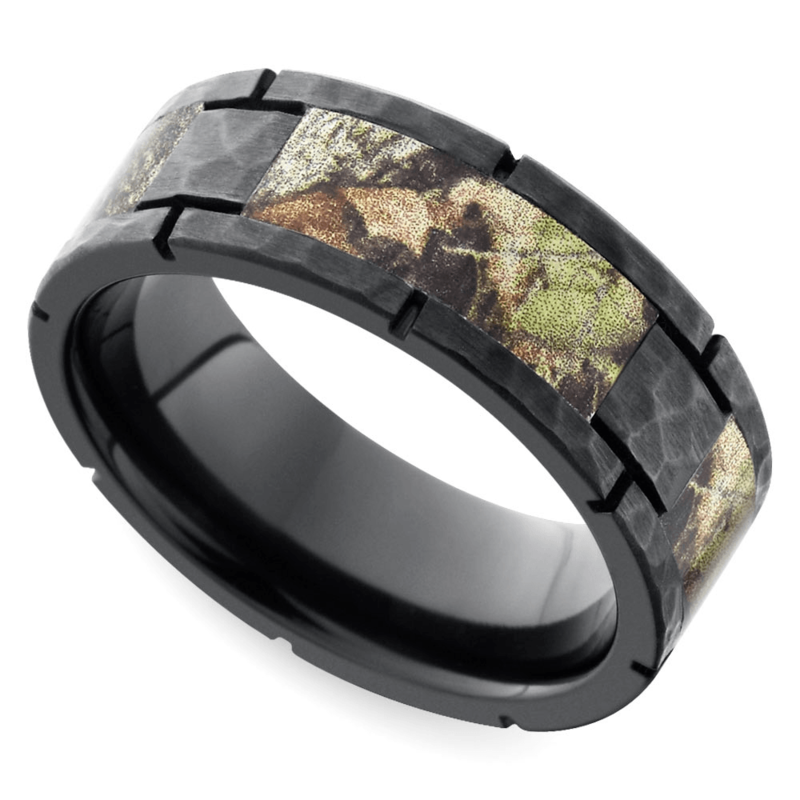 Now, not every couple will want your standard camo on their ring. But Brilliance’s collection features plenty of unique styles, so you can make your camo ring as unique as you’d like. Couples can go for an edgy, 8-bit look with the black tungsten digital camo (pictured above). 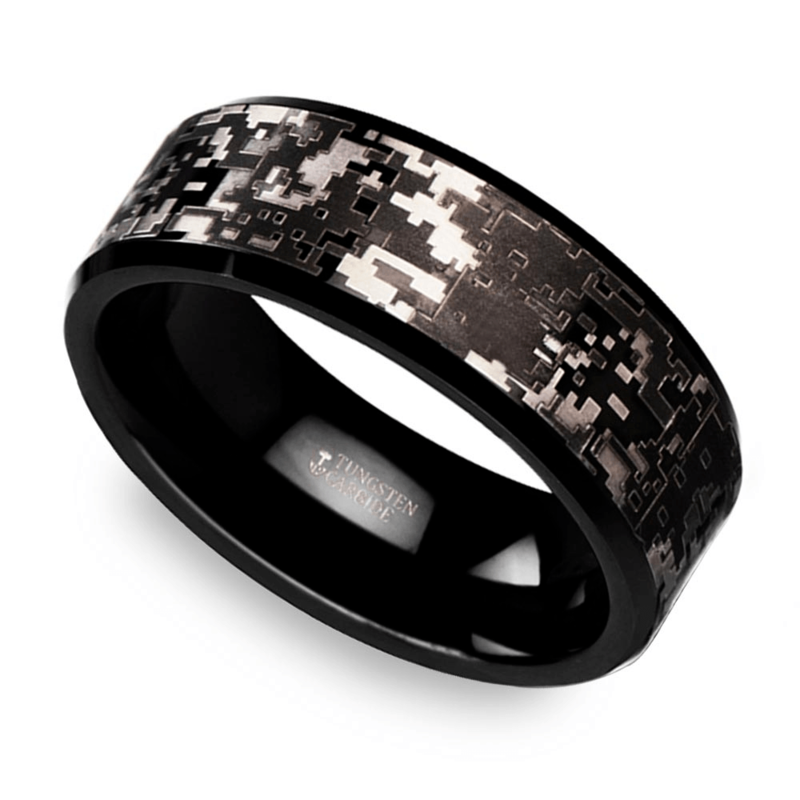 This ring takes the classic camouflage pattern and transforms it into something out of an old-school video game – perfect for the gamer groom who also enjoys the hunt. 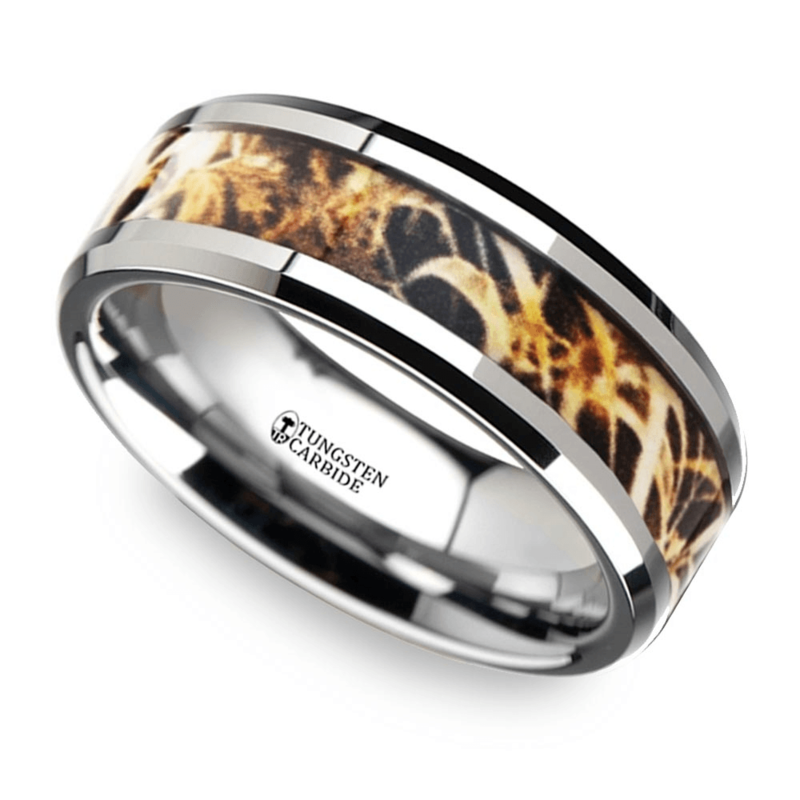 For the man that is looking for a ring that reflects his rugged lifestyle, the hammered pattern of this camo ring leaves just the right impression. The camo inlay is split into segments, accented by hammered black zirconium. This ring almost resembles a tire, making it a great choice for the couple that spends their weekends off-roading. But of course, there are those couples who still want their special day to be a glamorous one. 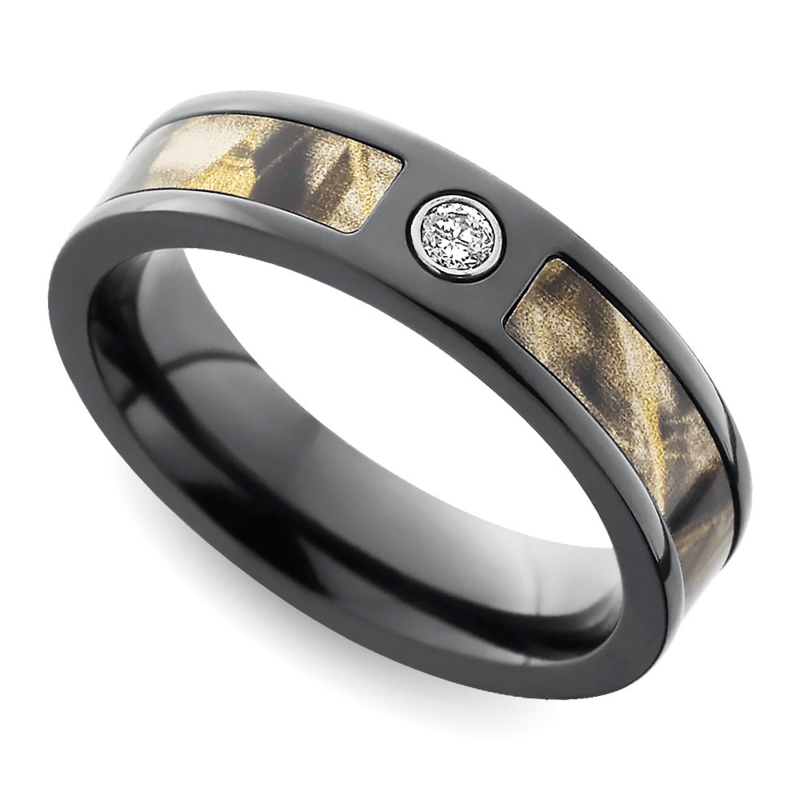 No worries – this camo inlay wedding ring includes a single round cut diamond for an extra special touch. Nobody ever said a camo couple wouldn’t also enjoy a little bling. The diamond combines with the camo inlay and the high polished zirconium base for a modern look that’s perfect for the fashion-forward, outdoorsy couple. With these beautiful options, couples can have beautiful rings that celebrate their love and their passions!